Full Accoyo, Full Accoyo Stratosphere Son! 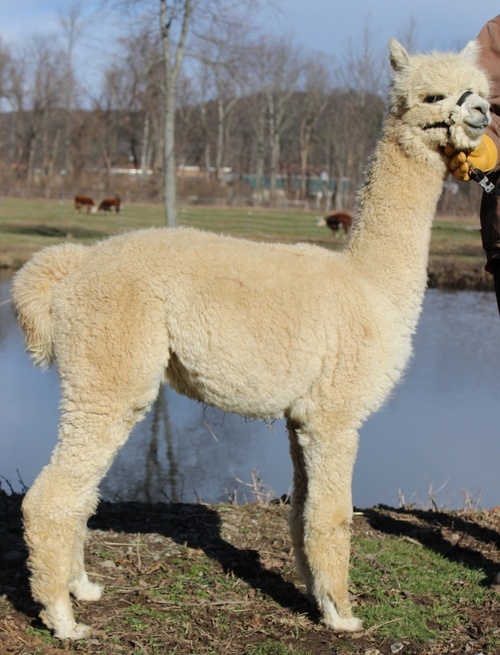 A full accoyo daughter of Champion Accoyo Royal Avenger, and granddaughter of Royal Fawn, she's ultra-fine with a micron count of 19.5 SD of 4.7. 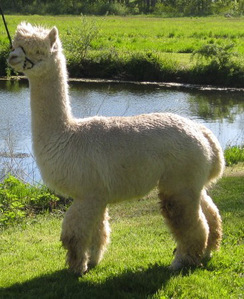 Her density astounds with fiber from her full top knot to between her toes. Avasha is very typey and cute with short, expressive ears and a button nose. A full Accoyo fawn female out of SA Accoyo Avasha and Irish Meadows Accoyo Olympus. This is one of Avasha's many fawn offspring in full Accoyo. She is a solid female with nice conformation and coverage. 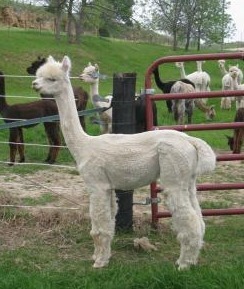 Her fleece is bright with a bold crimp. This female would be great to add some full Accoyo genetics to any herd. We pride ourselves on being flexible to the needs of our customers. 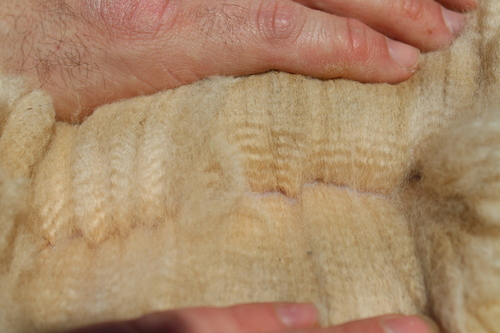 We are willing to consider flexible financing for your livestock purchase. Regardless of the financing arrangements, Hidden Pastures reserves the right to maintain possession of the the livestock until 50% of the contracted amount is paid. 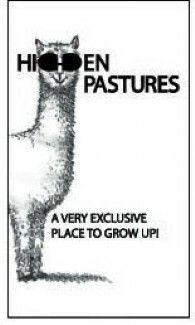 Hidden Pastures will board your livestock for 90 days, without cost to the new owner. After 90 days, livestock is boarded at a rate of $4 per day. Buyer is responsible for any transportation costs. We are happy to recommend reputable transporters. Breeding offered on the Open Herd auction are for drive by breeding service. Full service breeding with agistment is available for an additional fee. We are also happy to accept Visa, Mastercard, Discover and American Express for your purchases and payments.